This simple indicator device, to show when the bathroom is in use, is a useful product for both domestic and commercial properties. 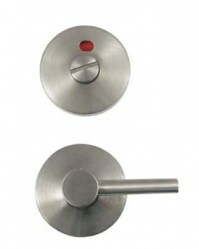 The Bathroom Indicator also acts as mechanism to lock and unlock bathroom doors. 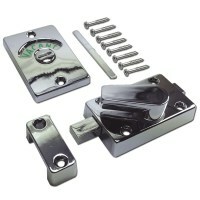 We stock products from the following brands: Asec, Dortrend Door Furniture, and Union Locks. 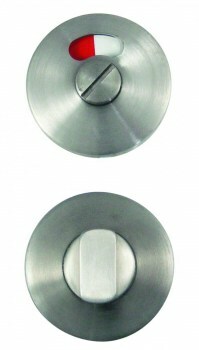 The indicators come in Silver or Brass finishes and we do provide a range of indicator bolt and set sizes. 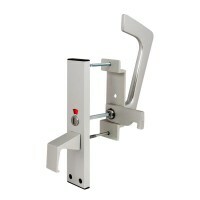 They are a functional product and very simple to use, they are fitted to toilet cubicle doors to show when they are occupied. 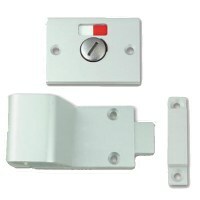 Simply turn the knob 180º on the inside and of the door and it will extend the bolt, this both locks the door and also changes the colour of the indicator on the outside to show that the cubicle is occupied. 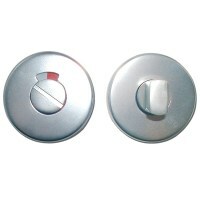 In case of an emergency, the outside portion of the set has the indicator but also a slot to allow you to gain entry in case of emergency, with an item such as a screwdriver or a coin. 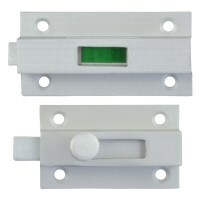 Our Asec indicator sets come with concealed fixings, meaning that the aesthetic of the set is neat and professional. Made from Grade 304 stainless steel, you can be assured that this is a durable and hard-wearing choice of indicator, designed to withstand the wear and tear that can come from daily use. 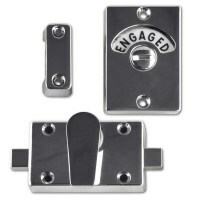 Our Dortrend and Union indicator sets are just as durable a product, made from anodised aluminium/silver, they have the additional advantage of being corrosion-resistant. 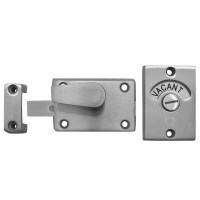 Our indicators are suitable for different types of bathroom doors, including timber, and with our range of sizes, you are sure to find an indicator set to suit you on Locktrader.